Chicago Real Estate Partners is a modern team of experienced Compass agents committed to building relationships that go beyond the sale. 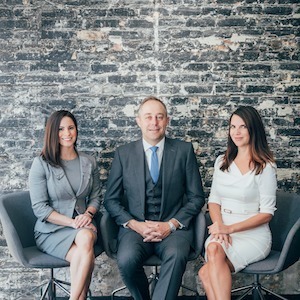 The team is led by Brad Zibung, who was named “ Top Producer” by the Chicago Association of Realtors and consists of partners Jeannette Pawula and Christina Powers. Their team approach brings an unparalleled level of customer service and communication to their clients. Since 2015, the team has helped more than 100 clients buy and sell more than $40 million in real estate all over Chicagoland. Chicago Real Estate Partners works with a wide variety of clients ranging from first-time buyers and sellers to well-experienced homeowners. Chicago Real Estate Partners is genuinely committed to helping their clients find their place in the world and providing continued expertise beyond the transaction.